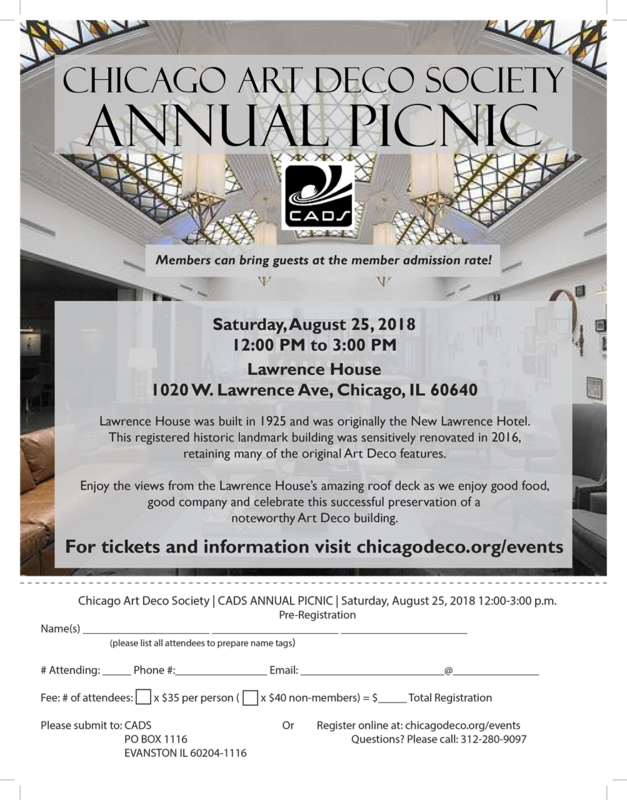 Please join us for the Chicago Art Deco Society Annual Picnic! Lawrence House was built in 1925 and was originally the New Lawrence Hotel. This registered historic landmark building was sensitively renovated in 2016, retaining many of the original Art Deco features. Enjoy the views from the Lawrence House’s amazing roof deck as we enjoy good food, good company and celebrate this successful preservation of a noteworthy Art Deco building. Members can bring guests at the member admission rate!